The Luminox 3051.Bo Navy Seal Colormark has held the best seller position for the past couple months at TacticalWatch.com and there’s no wonder why. With the same reliability and similar rugged design as the Original Navy Seal, the Navy Seal Colormark Blackout has a black polyester case with a black rubber bracelet along with a completely black dial and bezel. The style, reliability and price simply cannot be beat. Luminox has taken some its most popular watch styles and created blackout models that offer the same functionality and durability that is expected from Luminox with a great new blackout look. Luminox Blackout Watches along with all of their other styles are available at great prices and ready for immediate delivery at Tactical Watch. With the same reliability and similar rugged design as the Original Navy Seal, the Luminox Navy Seal Colormark Blackout 3051 Watch has a black polyester case with a black rubber bracelet along with a completely black dial and bezel. 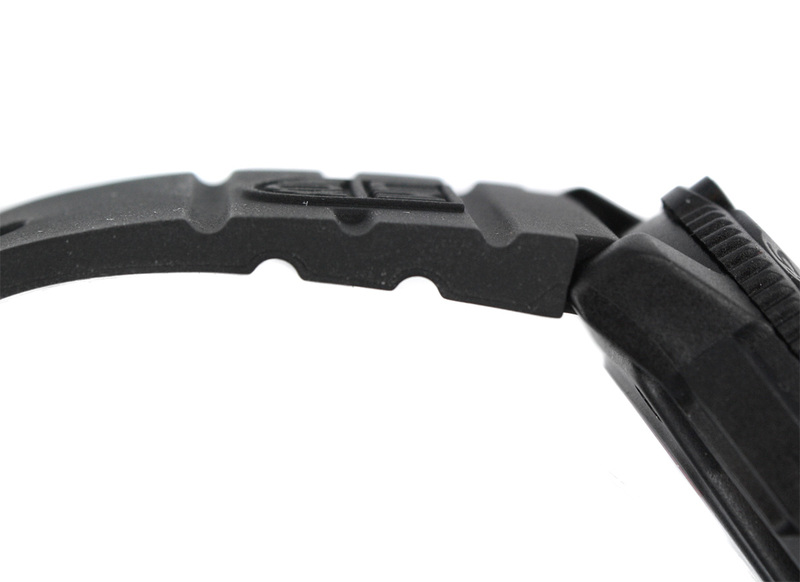 This 44mm width EVO watch gets high praise for being lightweight & comfortable. Scratch resistant mineral crystal for the glass, protected crown & screw down carbon reinforced case back for protection & durability. 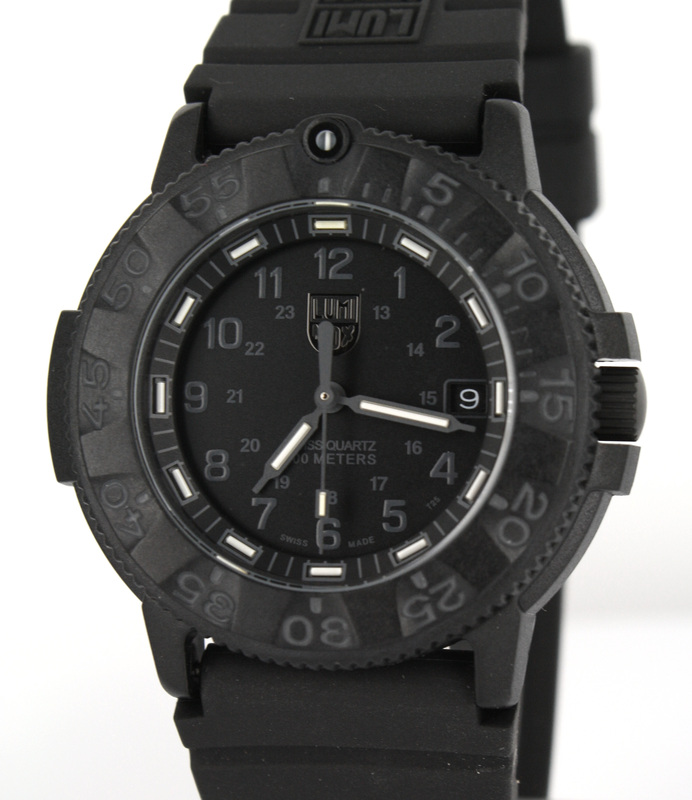 This has so far proven to be the most popular Luminox blackout model on the market, not to mention the great price at $236. Luminox created the Luminox F-117 6402 Blackout Watch in a 45mm black PVD plated stainless steel case. A little bit larger than the 3400 series, the case still features a detailed engraving of the F-117 Nighthawk Stealth jet. This watch represents what Luminox is all about, having a quartz movement, sleek black steel strap, as well as, a black steel case & dial with black hands & numbers. 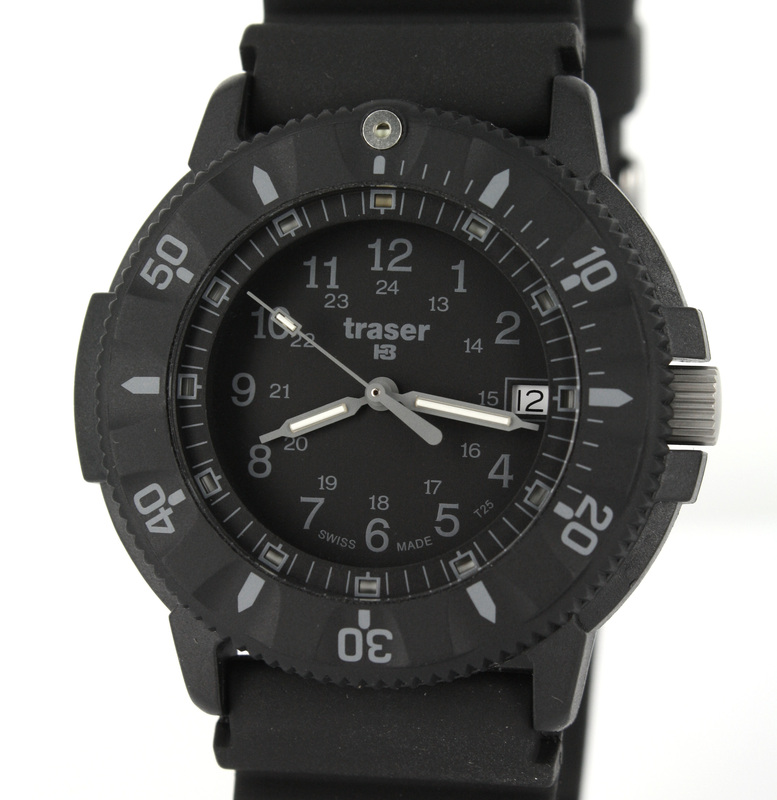 This watch has is known for having excellent visibility in the darkness and comes and a good price point at $680. With a 38mm dial, the Luminox Colormark 7051 Blackout Watch is perfect for someone that wants the Luminox durability but wants the watch to be on the smaller side. The analog display features a high quality quartz movement which is backed by the full manufacturer’s warranty. Has large black numbers but the hands and dials glow in white when illuminated. Any women interested in a Luminox Blackout watch may want to consider this watch for its small size. Priced at $236, this watch is a great value for a blackout watch. The Luminox Colormark Chronograph 3081 Watch has a carbon-reinforced case for the ultimate durability. The entire dial is blackened, including the chronograph functions and date aperture, but is easily viewable by the night vision tubes. This watch is ideal for a bigger wrist as it has a 44mm case diameter. With a unidirectional bezel with tracer dot, blackened pushers and crown, you’ll keep your cool even at the darkest depths with a water resistance of 200 meters. $340 is a great price or a Luminox Chronograph of this size. The Luminox Sentry 0201 Blackout Watch is a great watch that can serve you on your outdoor adventures as well as impress indoors. Its vintage-inspired cushion shape and unidirectional bezel makes this classic watch very popular. This 43mm watch also comes with a carbon-reinforced steel case and of course the all black look completes the watch. This is one of Luminox’s low-end models priced at $180. The Luminox Navy Seal Colormark 3152 Blackout Watch is a 44mm watch and is one of the two Luminox blackout watches to feature a black stainless steel bracelet. This is one of Luminox’s bigger watches in their line. With the same reliability and similar rugged design as the original Navy Seal watches, this is sure to be a favorite among collectors. Priced at $440, the 3150.BO is a very popular model. At 47mm, the Luminox Field Chrono Alarm 1881 Blackout Watch is one of the biggest blackout watches Luminox offers. The tritium tubes illuminate to make reading the face in darkness even easier. This watch comes with a leather strap and offers a chronograph and alarm that are both classic in look, as well as, functional. Standard with a great warranty, this watch retails at $520.